Join these little creatures who gather round for some traditional prayers, retold for very young children. 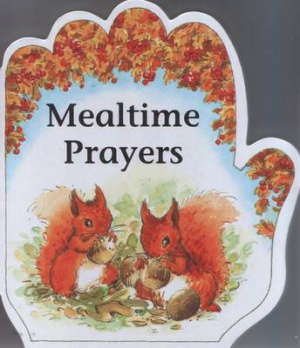 Mealtime Prayers by Alan Parry; Linda Parry was published by John Hunt Publishing in November 2010 and is our 10852nd best seller. The ISBN for Mealtime Prayers is 9781846944505. Be the first to review Mealtime Prayers! Got a question? No problem! Just click here to ask us about Mealtime Prayers.